Cape Town Airport is one of South Africa's three main international airports, alongside O.R. Tambo in Johannesburg and King Shaka Airport in Durban. Many international airlines use Cape Town International for direct flights. In 2016, direct flights are offered by British Airways and Lufthansa and several other international airlines to selected destinations. Cape Town's international airport is located roughly 30 minutes to the East of the Cape Town city centre. The airport has one terminal for check-in for domestic and international flights as well as a domestic and an international arrival hall. There are a variety of transport options you can use to travel into town swiftly and safely. 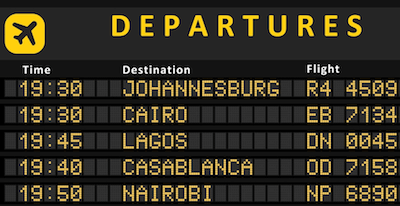 Where can I find Flight Information on Departures and Arrivals? You can call the Flight Information Hotline at Tel: 0027-86-7277888 or click onto this link and get directed straight to the live information of CapeTown Airport. How much time do I have to be at the airport before my flight? The Airports company advised that you should be at the check-in at least 90 mins before your domestic departure and 3 hrs before an international flight due to stringent security measures. Also take into account that you need to use the N2 highway to get to the airport from either Cape Town or the Cape Winelands, and should there be any traffic jam, you need to have sufficient time planned in for your airport transfer to not miss your flight. Which facilities can I find at CapeTown airport? What do I have to consider when checking in my baggage at the Cape Town airport? Remember that your hand luggage can usually only be up to 7kg. Laptops have to be shown for screening and liquids/creams etc. are only allowed in a separate transparent carry bag (20cmx20cm) with up to 100ml per bottle./total liquid max. 1 liter per traveller. Include in this plastic bag all your eye drops, cosmetics, nose sprays you need for traveling and do not want to put in your checked-in luggage. No filled drinks bottles even when travelling with small kids. - There are shops inside the airport's departure halls, so you can refill any bottle or buy a new one. We recommend to use the 'shrink-wrap' services of getting your suitcase wrapped in transparent plastic foil. This will not only protect your suitcase from scratches but also from being manipulated with. There are currently two Baggage Wrapping Machines at the airport. One of the Wrap it! Machines is located at the upper main entrance of the Central Terminal Building and the other in outside in the older part of the Terminal building on the lower level. The costs are about R70 per suitcase. 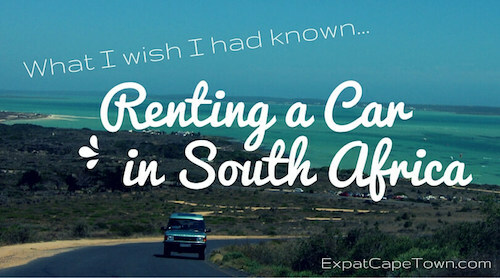 What are the best Cape Town airport transport options? Further, you will find taxi stands at the forecourt. The rank is well sign-posted and easy to follow from the central terminal building of Cape Town International Airport. CapeTown Airport Shuttle Service: A convenient public transport/bus shuttle system is implemented to link the airport with the CBD/Civic Centre in Cape Town. The new MyCity Bus Shuttle Service can be accessed from the bus terminal at the airports forecourt. Buses depart every 30 minutes. Costs: R120 (incl. re-loadable card). More info on the official MyCity Bus website here. Driving your Own Car: There are the new multi-storey parkades 1 and 2, the shaded parking bays, valet parking and lock-up garages. Pay stations are located next to the lifts/elevators. Should you just need to drop somebody off or need to pick up somebody, use the well marked drop off-Zones at the Airport. The parking fee at the multi-storey parking arcade is very steep, but there are dedicated drop-off and pick-up zones, where there is free parking for 30 minutes. Are there long-stay parking facilities at the airport? There are various long-stay parking offers available. We usually use APS valet services. Contact them on 021- 556-8556 and tell them you heard from us. More info. Is there any assistance for special needs passengers? Please contact the Airport at Tel: 021 935 3737 for assistance and request assistance from your airline when booking your ticket for mobility restricted passengers. How safe is Cape Town Airport? Cape Town Airport is currently one of the best guarded and safe airports around the world. 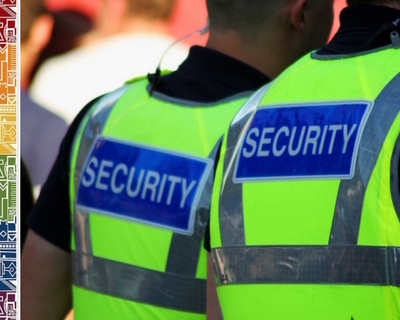 There is plenty of security personell visible and they are really helpful should you have some concerns or questions. But remember you have to stick to some safety rules when travelling and so when coming to South Africa, so be sure to have your lugguage next to you always and never leave it out of your eyes. Only use the official taxis and be careful at the parking when you load your car, never leave your luggage and children unattended. Read our Cape Town Safety Tips here. Where can I find hotel accommodation close by the airport? Road Lodge Airport (1km/3 minutes): adjacent to Cape Town Airport next to the BP service station. More info. Hotel Verde (1.5km/5 minutes): 4 star hotel - 'Africa's greenest Hotel'. More info. Grand Hotel at Grand West Casino Complex (7km/20 minutes): 4 star hotel in Goodwood. 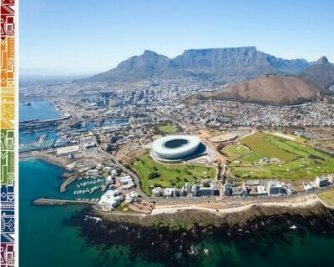 How long does an airport transfer from the airport to Cape Town Waterfront hotels take? If you take a taxi you will reach the V&A Waterfront in roughly 25 minutes, depending on the traffic along the N2. During the morning rush hour you might have to plan in more than one hour though. Taxi transfer costs around R350. Or you can also take the MyCity bus shuttle (see above). Can I get wireless Internet access at CapeTown Airport? If you do not have access to the Airline Lounges, you still can access the wireless internet at WiFi hotspots after check-in and having passed the security checkpoints.